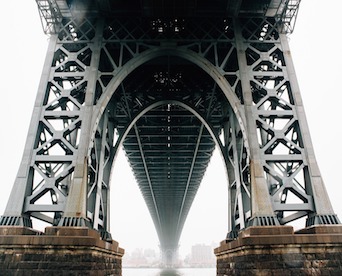 Structural steel is a smart choice, offering ground-breaking new fabrication methods, unmatched resilience, and overall cost effectiveness. Building on the past, delivering innovative solutions today, and shaping the future. That’s American structural steel. The Steel Academy will present residential and commercial projects where steel has provided both the literal framework of strength and resilience as well as the aesthetic narrative around which the structures have been built. 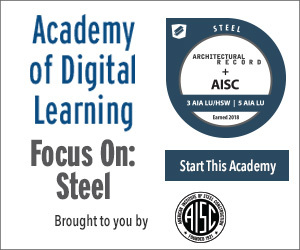 Furthermore, the academy will provide an overview of the many practical benefits that steel and steel systems present for architects, engineers, and designers alike to meet a wide variety of project expectations. Earn 8 AIA LU (3 AIA LU/HSW + 5 AIA LU).